After a frozen tundra met fashion, or mainly known as New York Fashion Week, next on the list is London. I never like to play favorites, but I've always been fond of LFW- let's face it, those brits now how to dress and the shows? Always different and unique, a concept the industry often lacks of. Yet, some of the magic happens of the runway. Once again, round two of street style school. From the archives... past street style lessons. 1: Weather permitting, skip the jacket. 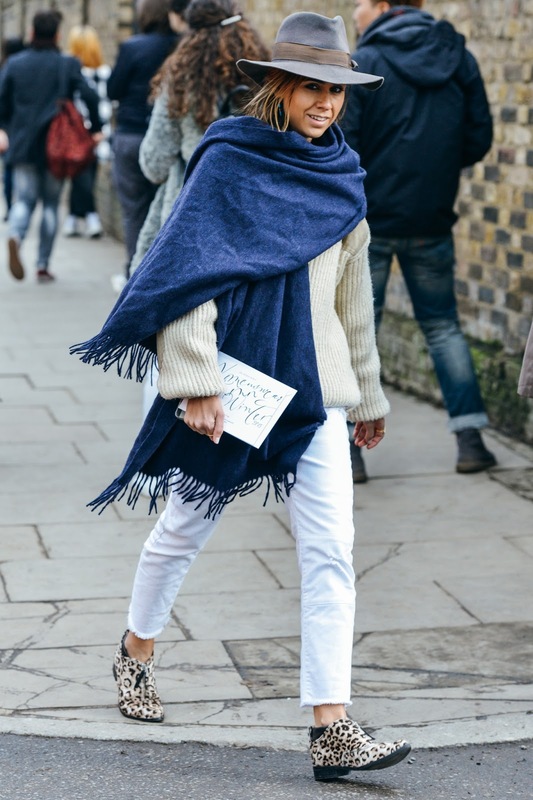 A borrowed from the boys sweater and thick scarf work double time in your wardrobe when you're just not feeling a jacket. 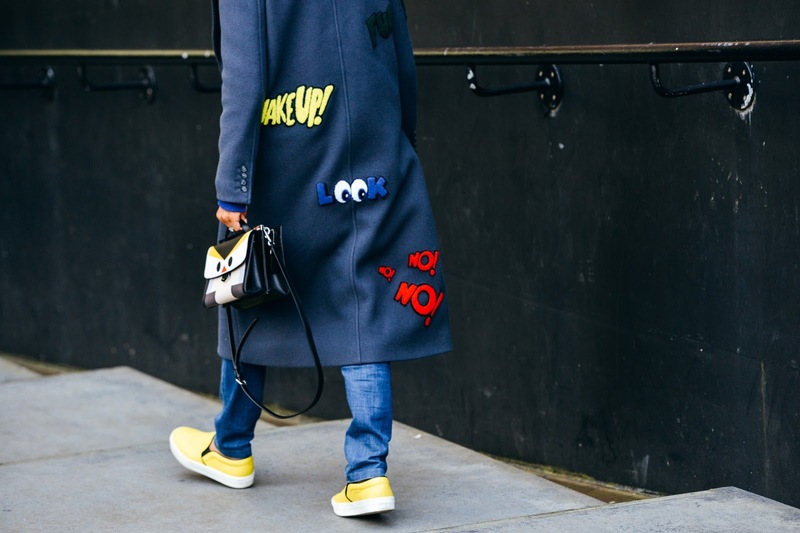 2: Forget normcore, playful is cool again. Quirky embellishments take a basic navy top coat to another level. 3: A personal favorite of mine from on the blog a few weeks ago. 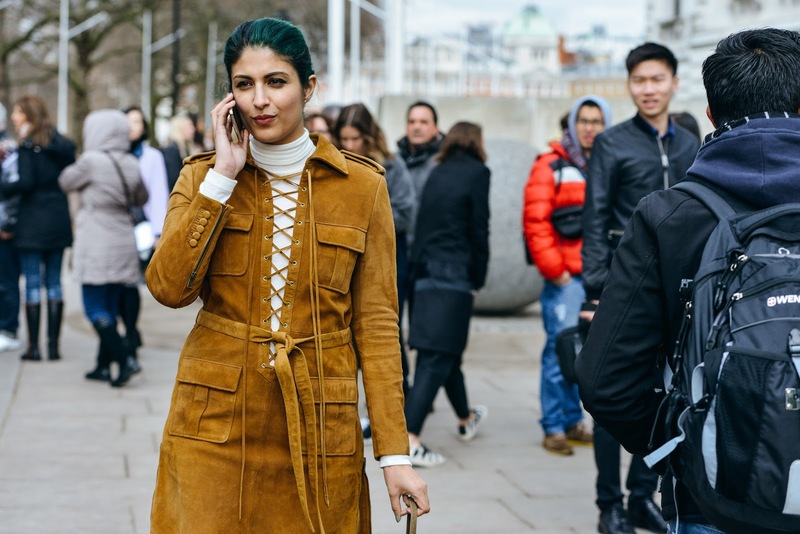 The 70s show is still going strong with suede, and this season's best detail... lace-up. 4: Lastly, remember two key things displayed by Camille and Pernille. Smile once in a while. And the rain stops for no one. No one.